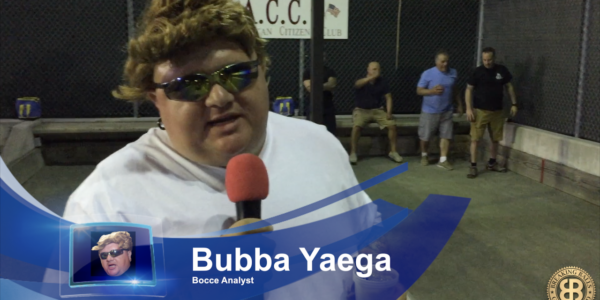 This week the incomparable Analyst Bubba Yaega is Courtside for the game of the week. La Familia vs. Bad F’Ning News goes head to head in this AFC Northeast match up. Bubba may not be the best play by play guy but his analyst work is top tier. He pisses off the BE A MAN guy and he’s ready to bash a bocce ball over his head. Tune in.